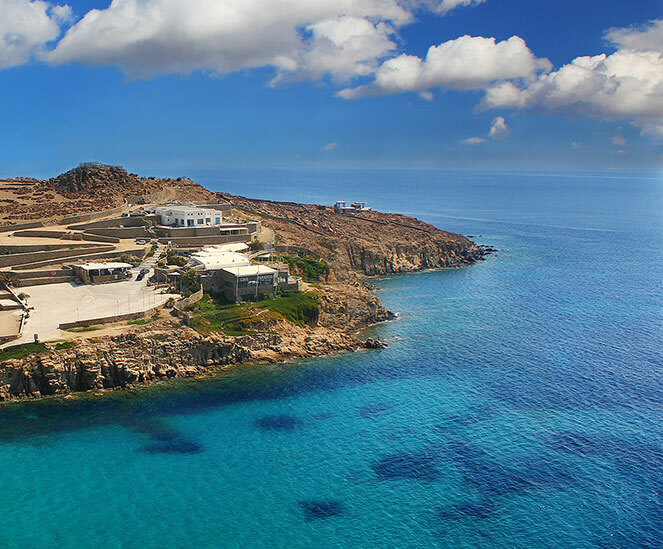 nestled on a rock over the aegean sea... here is your mediterranean paradise! The club's location is a main talking point for anyone that has paid a visit over the years and has also became a main attraction for tourists who visit the island. Being situated by the edge of a 150 FT cliff, left at paradise beach, overlooking the Aegean sea, will naturally give breathtaking views of the classic Greek island signature habitat of clean turquoise waters, blending at the horizon, with the endless blue summer sky. Cavo Paradiso is an half-open air venue and it is built by materials which are locally sourced (wood and stone) and this helps to create the feeling of being within nature and if there is one evening a month that you would like to experience this, then book your flights now for the upcoming full moon parties!! !